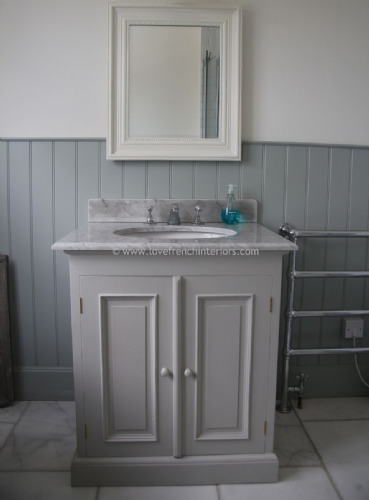 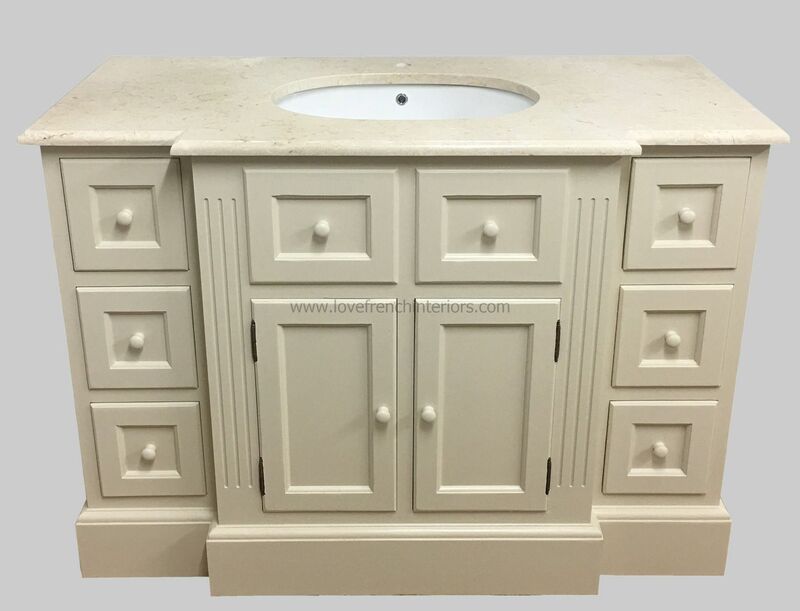 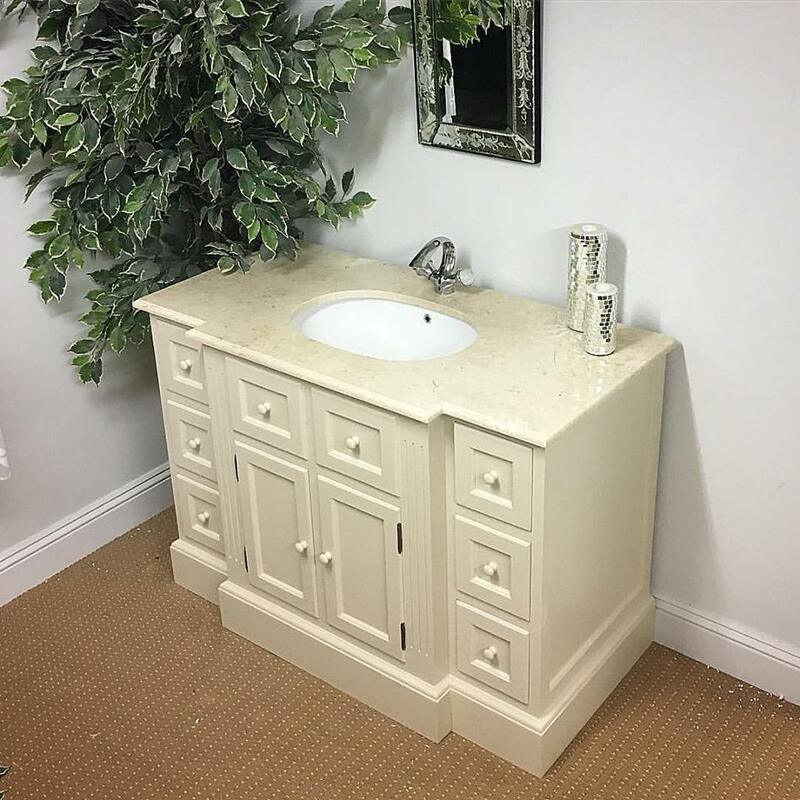 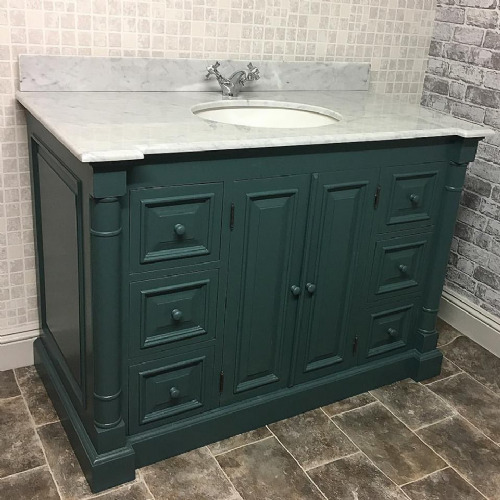 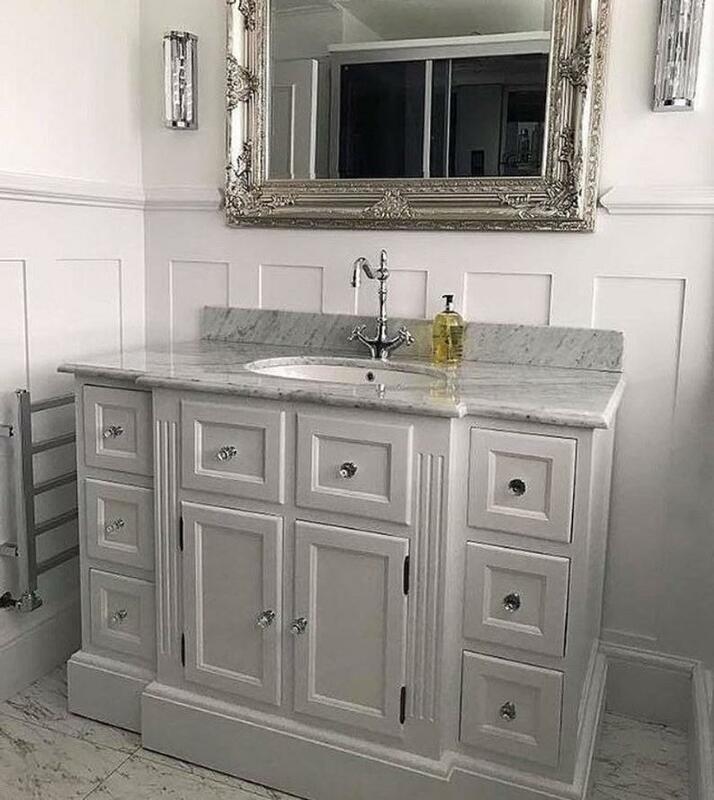 Our Bespoke Single Sink Vanity Unit with a Breakfront (where the centre section protrudes from the sides), 6 functioning drawers and a double door in the centre. 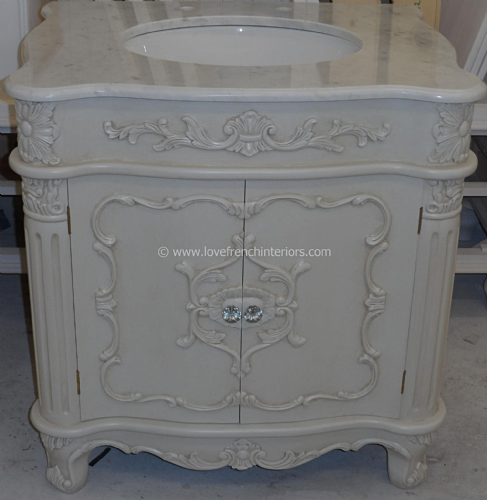 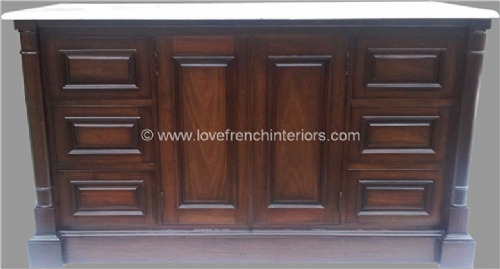 This can be painted to the colour of your choice as all painting is completed by hand in the UK. 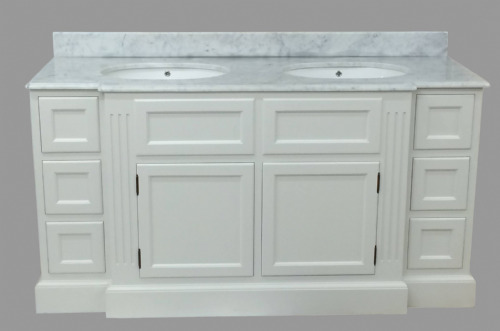 Also available as a double bowl version. 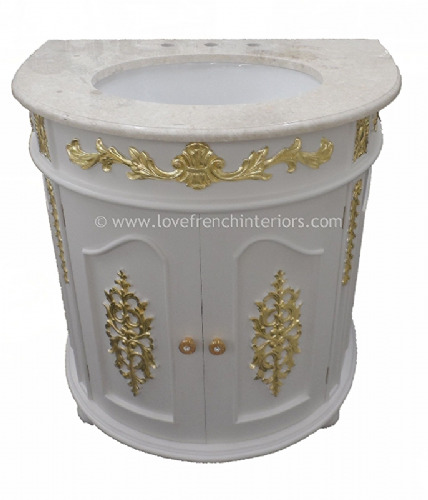 Dimensions in cm: W120 x H90 x D65 Also available in a double bowl model with other dimensions to order.